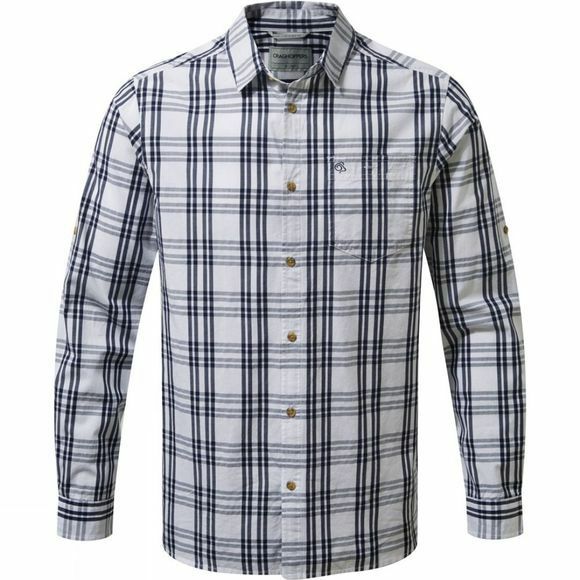 The Blayney Long Sleeve Check Shirt from Craghoppers is a cotton long-sleeved shirt designed to help protect you from the sun. With its long sleeves and tailored fit, you can stay protected and comfortable without sacrificing your style. The roll-up sleeves, sunglasses wipe and a chest pocket ensure you will look the part, whether you are out exploring or just having a BBQ in the garden with friends and family.